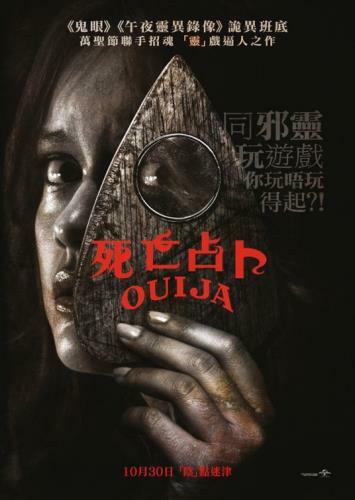 The horror film Ouija released on Halloween 2014 is not just another film adaption of the classic paranormal game, This version was actually produced by the maker of the game Hasbro Inc. Indeed cleaver as it serves a dual purpose: To promote the occult game to new users and its just in time to be placed on your child's Xmas list. 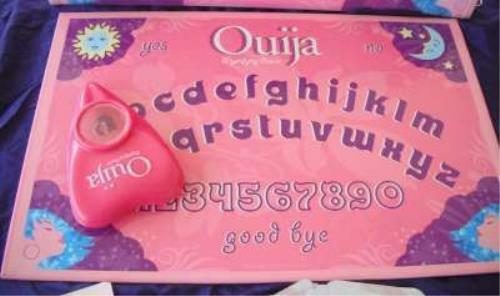 However, Ouija is not a game, it is a portal and intro to the occult. It definitely should not be marketed to children and has no business in the toy section - but it is. It even come in pink for girls! If you think that Ouija is harmless game, read some real life reviews and experiences from actual users of the game on Epinions.com Ouija Reviews. The production of Ouija movie is yet another method of the occult inspired Illuminati to indoctrinate their dark belief system to the masses.